So, I got a Spectrum DX in a trade and it's one of the bitchenest guitars I've ever had my hands on. Yanked out the horrible low output humbucker (what in the hell were they thinking? "We've built a seriously capable shred machine. Let's be assholes and cripple it with weak pickups"), tossed in a JB, stripped the neck down to bare wood, threw 11's on it. 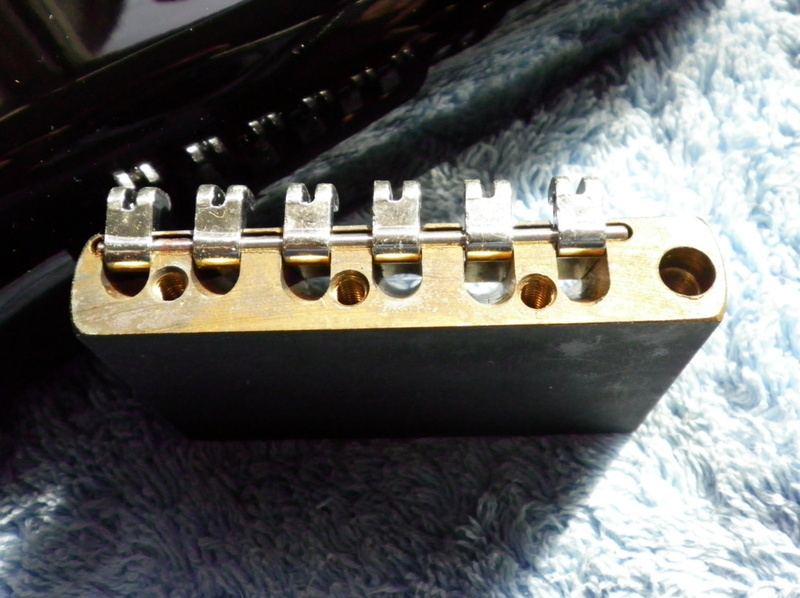 While I was floating the trem (which is the Bendmaster FT), I noticed the block was a black thing. 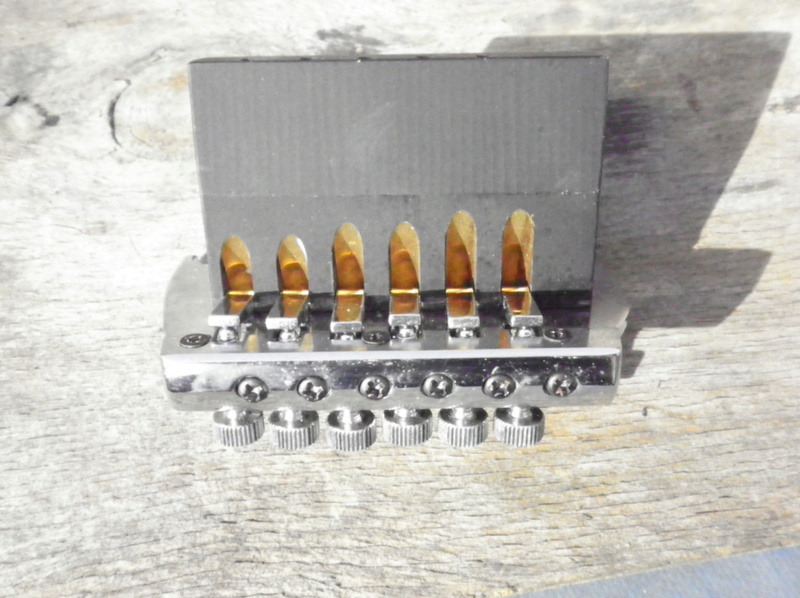 Anybody know about what the block is made out of and if it's crappy pot metal, is there an existing brass trem block that fits it? The guitar sounds pretty awesome as is, but the merits of a brass fatboy are enough that I'm willing to fudge with that equation. Either way, I'm now on the hunt for a backup DX for stage, because I love this guitar so much. It's absolutely crushing, and just SINGS past the 12th fret. Yes indeed it's pot metal. Brass was used on the lefty's,also painted black, lucky barstewards.